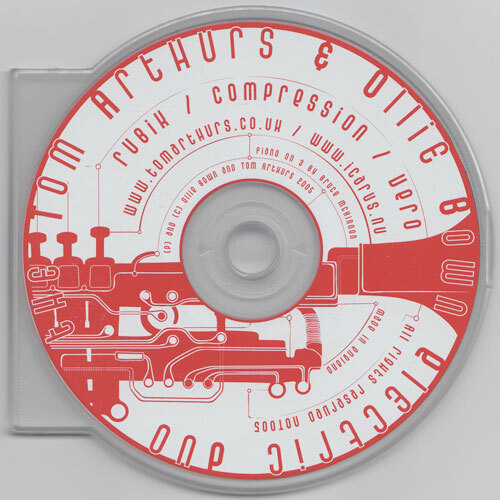 Tom Arthurs and Ollie Bown, have been working together since January 2004, united by common interests in electronic and improvised music and the aim of devising fluid and emotive improvisations between instruments and computers. Predominantly live and experimental, their music receives its first recorded exposure in this short EP. True to the experimental nature of their early collaborative work, Ollie and Tom began performing in small electroacoutsic events such as the Blip art-science symposium in Brighton, moving on to a first public performance at the Spitz in February 2005 with the F-IRE collective. More recently, the group was given funding by Blip and The Lighthouse in Brighton to collaborate with visual artists Squint and Brittski on an AV performance, which was presented at the Dana Centre in London in May 2006.